Pueraria Mirifica Extract is best suited for Women and is very high in Phytoestogen content, such as Mirostrol, Deoxymiroestrol and Coumestans, which are useful as Breast Enhancement supplements. Phytoestogen is a Female Hormone like compound that acts to support healthy female characteristics, bone structure, cardio-vascular function, breast and skin appearances. Mirosrol and Deoxymiroestrol are Isoflavones which are a more Potent than the Varieties of Isoflavones found in Soy or Red Clover. These properties are still being researched and are under investigation, for possible use in Hormone Replacement Therapy. Pueraria Mirifica Extract taken as a Dietary Supplement, its Phytoestogen content will also naturally alleviate symptoms that occur as a result of the Aging process, such as Estrogen Level deficiencies, which cause Wrinkled Skin, Grey Hair, Sagging Breasts, etc. To a certain extent, these types of aging signs can be reversed. There have never been any known Side Effects ever reported from using Pueraria Mirifica Extract. This amazing product is 100% Herbal and is 100% Safe. 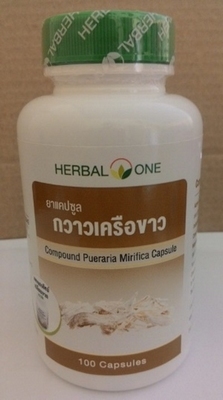 In Principle, Pueraria Mirifica Extract is very beneficial for your Body Health and Well-Being. Pueraria Mirifica Extract works quickly, effectively and it is very easy to use. Pueraria Mirifica Extract is suitable for Breast Enhancement, Longevity, Skin Nourishment, Hair Health and for also for the relief of Muscular Strain or Pain. Pueraria Mirifica Extract can stiffen and tighten the Breasts. It nourishes your skin, leaving it Healthy, Soft, Silky and Smooth. It can restore Hair Colour Loss and leave your Hair feeling Soft, Smooth, and Shiner, overall can improve the overall Health of your Hair.